ISRAEL: New trial in the Rabin assassination case? 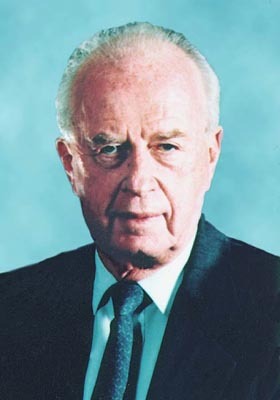 Israeli prime minister Yitzhak Rabin was assassinated on November 4, 1995. Details of the assassination, which involved then active and former Shin-Bet agents, remain controversial. Electronic decision record of the Israeli Supreme Court, purportedly certified by Chief Clerk Shmaryahu Cohen 5 years after his death. OccupyTLV, March 31 - during a visit to the Israeli Supreme Court today, I was photocopying two files. Next to me stood a young attorney, copying entire boxes. After a few minutes, I told her that I was collecting evidence in the Supreme Court's electronic records of fraud and forgery by Presiding Justice Asher Grunis and his fellow justices. She answered that she had a better story - she was part of a team that was planning to ask for a new trial of prime minister Rabin's convicted assassin Yigal Amir. Later, Jerusalem criminal defense attorney Ariel Atari confirmed by phone that he represented convicted assassin Yigal Amir, but refused to confirm any legal action plans, saying they were "amorphic". The young attorney said that the request for a new trial would be based on the contradictions between finding of facts by the official Shamgar Committee, which was convened after the trial, and the finding of facts by the court in the trial of Yigal Amir, as well as obvious internal contradictions in the finding of facts in the court narrative itself. According to the court narrative, Yigal Amir acted as a lone assassin, and killed Rabin by gun shots. Two of the most popular alternative narratives argue either that Amir shot blanks (the Shin-Bet bodyguards yelled, "blank, blank", during the shooting incident), or that Rabin was wounded by Amir, but was finished off by his bodyguards later, on the way to the hospital. When asked whether Amir would argue that he shot live or blank bullets, the young attorney answered that Amir would argue that he did not know! He loaded his gun with live bullets, but Avishai Arbiv, his violent, extreme right-wing cell leader (who doubled as an undercover Shin-Bet agent), as well as others knew of Amir's intention, and also knew where he kept the gun and the munitions. Therefore, it was possible that the live bullets were replaced with blanks. * According to an eye witness, not a drop of blood was found in the scene of the shooting incident. * A video of the event shows Rabin turning back after the shots were fired, which is inconsistent with the autopsy results, which showed that Rabin's vertebrae were crashed by bullets. View All 4 Articles in "Shin-Bet"